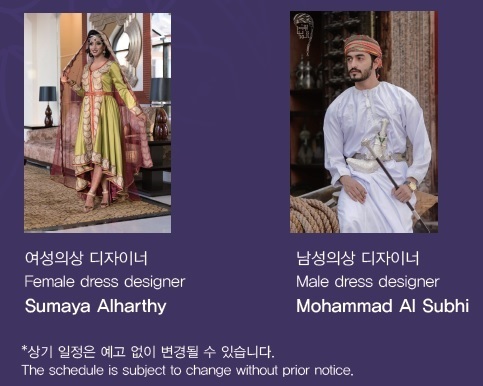 The Oman Fashion Show will be held as part of the <11th Arab Cultural Festival: C-Festival Arab Pavilion>. There is an exquisite fashion show by famous designers coming to visit from Oman. We hope to see many of you at the Arab pavilion and please enjoy the Oman fashion show.